How do we protect the integrity of Central Texas’ places and neighborhoods while still creating new civic assets that increase opportunity? Join us for this year’s CNU-CTX annual luncheon where we’ll hear insight on tackling this fundamental challenge from one of the nation’s leading experts on the connections between cities, place and opportunity. Carol Coletta is a senior fellow with The Kresge Foundation’s American Cities Practice. She is leading a proposed $40 million collaboration of foundations, nonprofits and governments to demonstrate the ways in which a connected set of civic assets – a civic commons – can yield increased and more widely shared prosperity for cities and neighborhoods. She formerly was vice president of Community and National Initiatives for the John S. and James L. Knight Foundation. She led the two-year start-up of ArtPlace, a public-private collaboration to accelerate creative placemaking in communities across the U.S. and was president and CEO of CEOs for Cities for seven years. She also served as executive director of the Mayors’ Institute on City Design, a partnership of the National Endowment for the Arts, U.S. Conference of Mayors and American Architectural Foundation. For nine years, she was host and producer of the nationally syndicated weekly public radio show Smart City, where she interviewed more than 900 international leaders in business, the arts and cities. 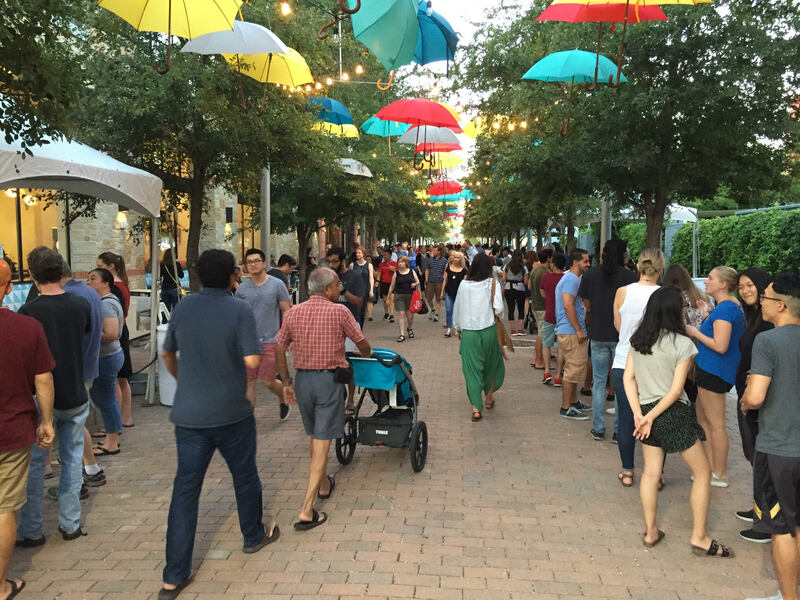 The Congress for the New Urbanism Central Texas Chapter is dedicated to making better places that people love in Central Texas. Since 2008, we’ve brought together experts, leaders, advocates and citizens to champion the principles articulated in the Charter for the New Urbanism and foster more livable, walkable, mixed-use, human-scaled, prosperous and vibrant communities.